I am so excited about moving to my new house. I have been picking out new furniture (I currently have half a lounge, seriously!) 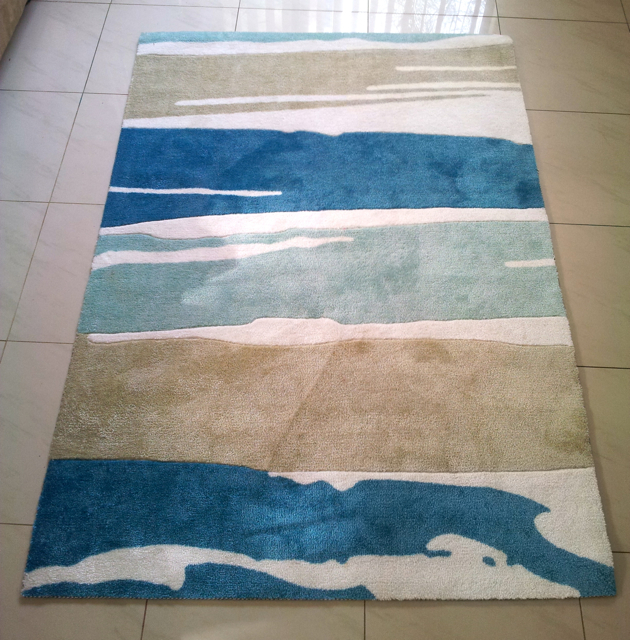 I am going with a beachy theme, think blues, greens, white, sandy/beige colours throughout the house. I am renting so can only decorate with decor. I picked my lounge, a funky chair, coffee table, amazing chair for my room, a new mirror that looks like a window and opens to have a chalk board behind, lamps, I didn't even have a kettle or microwave in my Sydney house, so all those sort of things have been acquired as well. I love it. It's softer than I expected, the colours match the theme I want perfectly and best of all my kids love it too. When it arrived the were all "oooh" and "aaahh", "Oh mum, I love it. Can I sleep on it?" Um, no, you have a bed! I can't wait to put this in my new house, along with a bunch of other things I have to decorate with and make our house a home. What is your home decor theme(s) or what would you like them to be?